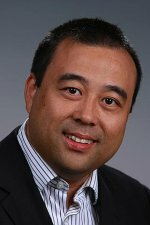 Dr. Guang Lin, a computational mathematics researcher at the Department of Energy's Pacific Northwest National Laboratory, has been invited to chair a panel at the conference "Challenges in Geometry, Analysis, and Computation: High Dimensional Synthesis" that will be held at Yale University in June 2012. The conference is being held in honor of three distinguished Yale mathematics professors' birthdays who are also all members of the National Academy of Science. The goal of the conference is to bring together researchers to share advance connecting geometry, analysis, and applications; especially those related to the mathematics of data and information. Lin is a staff member in PNNL's Computational Sciences & Mathematics Division. He will chair a panel discussion that will include representatives from federal agencies and other national laboratories to discuss recent trends and challenges in the field.